I first discovered Auric Blends and their wonderful selection of natural perfumes, candles, incense, soaps, and perfume oils last year with a review and giveaway. Among the products I received was a small bottle of their simply irresistible and best-selling Egyptian Goddess perfume, which now is being sold in a generous 1.87 fl. oz. spray bottle. Luckily, I was sent one to share with you for this review. This perfume has grown in popularity around the world ever since it came on the market 14 years ago. 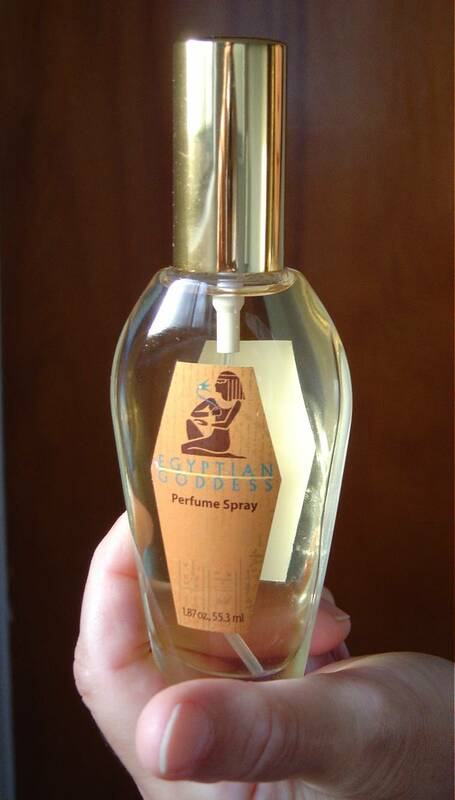 The Egyptian Goddess perfume also comes in 1/3 fl. oz. perfume, 1/5 oz. perfume solid, the 1.87 fl. oz. dab on perfume, 3.6 glycerin soap, and the 3.5 x 3-inch Goddess Pillar candle. Egyptian Goddess is one of those haunting perfumes that can seduce and break hearts on the spot in a trail of soft florals, light powder and musk. As mysterious as it is subtle, this perfume will slowly wrap you in a cloak of burning desire. This perfume would make an ideal Christmas gift. Imagine, giving a fragrance that would empower the wearer to feel like a proud Egyptian Goddess, casting her sensual spell to leave males breathless. I say let her reign and she will grant your every wish and desire! Honestly, I think this Auric Blends fragrance is a beautiful romantic perfume that you need to experience yourself to totally understand the magic it possesses! Next Post Which is More Sanitary–Hot Air Dryers Verses Paper Towels in Public Restrooms? I want to try siren. I'd love to try the Perfume Solid in Golden Vanilla! would love to try this perfume. I'd like to try the Majik perfume roll-on.